On March 11, 2016, the Fourth Circuit issued a published opinion in the criminal case of United States v. Ragin. The Fourth Circuit vacated the district court’s decision, holding that Ragin was deprived of his Sixth Amendment right to counsel when his attorney slept for a substantial portion of his trial. Defendant Nicholas Ragin (“Ragin”) was indicted on October 18, 2004 in connection with a drug conspiracy. Following the indictment, the district court appointed Nikita Mackey (“Mackey”) as Ragin’s counsel. Ragin pleaded not guilty and proceeded to trial, which took place from April 3, 2006 to April 21, 2006. The jury rendered a guilty verdict and Ragin was sentenced to 360 months in prison. After trial, Ragin sent a letter to the district court in which he complained that his counsel fell asleep multiple times during the trial. On October 1, 2010, Ragin filed a motion under 28 U.S.C. § 2255, contending that his conviction should be reversed for ineffective assistance of counsel. The district court held an evidentiary hearing pursuant to the motion in which several witnesses testified that they saw Ragin’s counsel sleeping during the trial. Ultimately, the district court denied Ragin’s motion. The court reasoned that the standard that a defendant must meet to succeed on a § 2255 motion depends on the type of evidence involved. If a defendant cannot show that his or her attorney slept through a “substantial portion” of the trial, then he or she must show that the attorney’s actions prejudiced the defendant. The district court concluded that Ragin did not present enough evidence to show that his attorney slept through a substantial portion of the trial, reasoning that Ragin’s accusations were not credible. The court then decided that Ragin would need to show prejudice to succeed on the motion, but concluded that he had not met that burden. The Fourth Circuit started its discussion by outlining the two-part structure for ineffective assistance of counsel claims, which originates from Strickland v. Washington. First, a defendant must show that the attorney performed below an “objective standard of reasonableness.” Next, a defendant must show that the attorney’s performance resulted in actual prejudice during trial. However, in certain situations, prejudice is presumed. The Fourth Circuit then concluded that prejudice is presumed if an attorney sleeps through a substantial portion of the trial. As a result, the Fourth Circuit held that an attorney violates a defendant’s Sixth Amendment right to counsel when the attorney sleeps through a substantial portion of the trial. Further, the court held that the district court erred when it decided that Mackey did not sleep through a substantial portion of Ragin’s trial. The Fourth Circuit reasoned that every witness testified that Mackey was sleeping, which supported Ragin’s contentions. 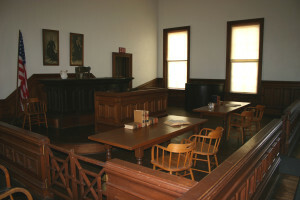 Further, Mackey himself did not dispute that he slept at the trial. As a result, the court found it “impossible to conclude” that Mackey did not sleep for a substantial part of the trial. Ultimately, this amounted to a violation of Ragin’s Sixth Amendment right to counsel. As a result, the Fourth Circuit reversed the district court’s holding, vacated Ragin’s judgment and sentence, and remanded the case to the district court for further proceedings.